We are going to see how to install MariaDB 10.2 RHEL 7 / Centos 7 Complete Beginners Guide. Why i said Beginners guide because this is a first step installation. Why we have to use MariaDB. Maria DB is an open-source relational database software. It is a great alternative or drop-in replacement for MySQL. Better server status variables, and enhanced replication. How you would like to configure the MariaDB instance, Networking without Networking. 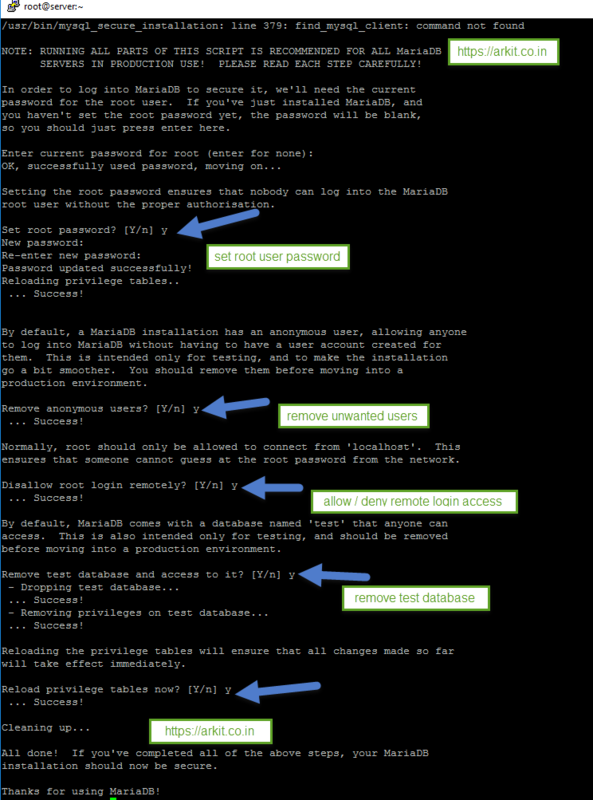 Now to secure MariaDB, we have to set root user password for MariaDB, remove an anonymous user, disallow login remotely, remove the test database and etc. installing the MariaDB server using below command. Hardening MariaDB. After installation of MariaDB server, database root user password is blank. So for security to reset the root password. That’s it about Install MariaDB 10.2 in RHEL 7 / Centos 7 Complete Beginners Guide. Install of MariaDB 10.2 RHEL 7 / Centos 7 is completed. MariaDB is the replacement of Mysql in a newer version like RHEL 6 / RHEL 7 / Centos 7. Please do comment your feedback. Stay tuned for upcoming article Database creation, Creating Tables, user creation, granting privileges, Inserting, Updating and deleting records. Working as Linux Administrator. Passionate in sharing knowledge. My goal is to become Geek.